Welcome to Western Traveler, a website dedicated to my love of traveling and the Great Outdoors. My home is in the Commonwealth of Kentucky. 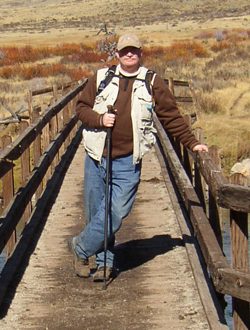 I am now retired from the National Park Service, having served 30 years with the NPS at Mammoth Cave National Park in Kentucky, Ocmulgee National Monument in Macon, Georgia, the Vicksburg National Military Park in Mississippi with details to Big Cypress National Preserve, Florida and the Petersburg National Battlefield of Virginia. Most of the photography you’ll see on Western Traveler is my own. However, special thanks must go out to my friend, Jeff Campbell for his many beautiful image contributions. His dedication to the site is greatly appreciated. Feel free to browse through the Photo Gallery, check out the various informational articles, share in my adventures with the Travel logs, visit some of my Favorite websites.